I just love when packages arrive. 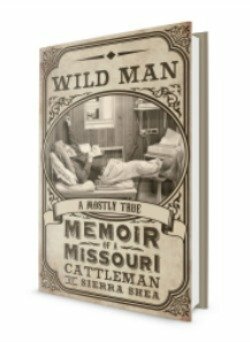 Last week, two huge boxes came from my Mom in Missouri. 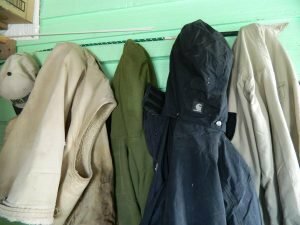 The first box had a wind and waterproof Carhartt coat and pants that I ordered from Angell’s Western Wear & More – just in time for the cows to start calving. 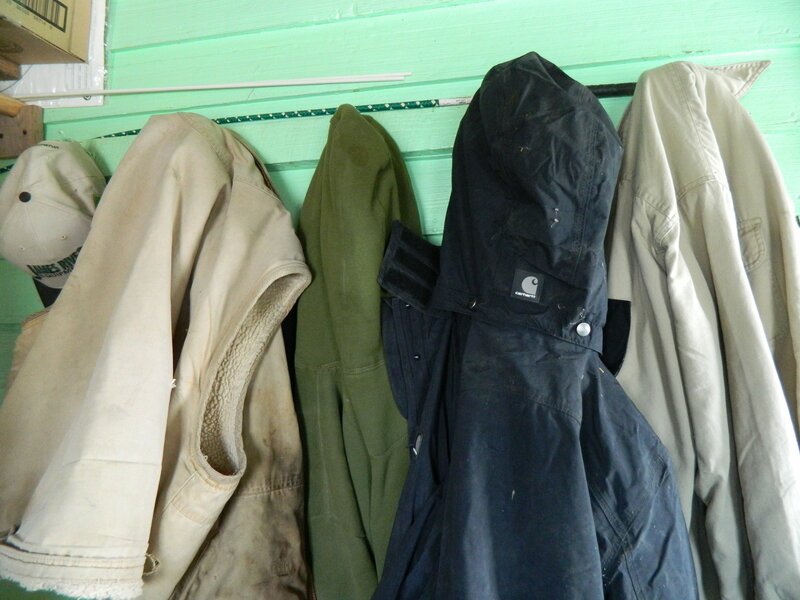 It is already looking pretty worn in after helping shovel the corn out of the bottom of the bin. The second, had a sweet letter from little sis Schyler and two quilts. 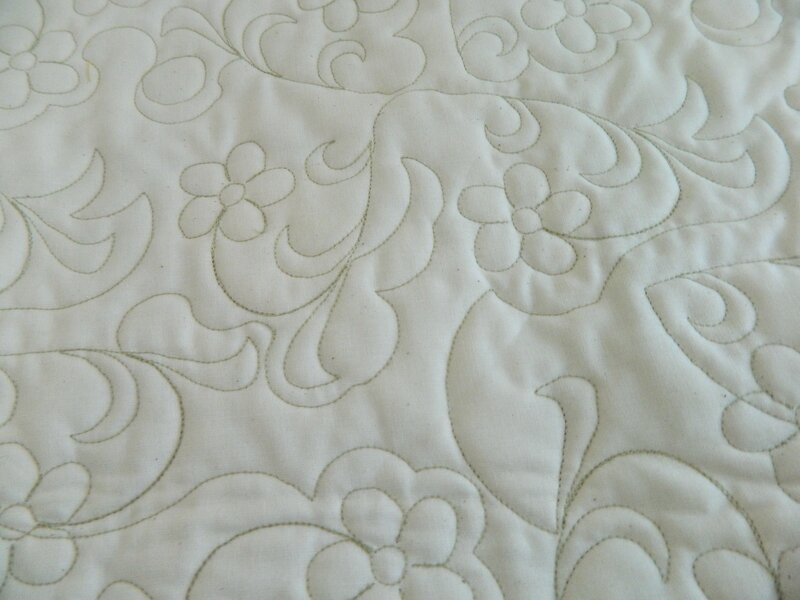 I am glad to have my quilts back from the quilter, she did a great job. Yet, I am dreading doing the binding. 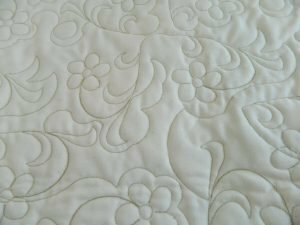 It is my least favorite quilting task. Lucky for me, my Grandma Georgia enjoys binding quilts and always offers to help with mine. I must admit – I have never done a whole one by myself. I would have asked my mom to mail them to her instead, except my 81-year-old grandma is about to have carpal tunnel surgery on her right hand! Leaving me, with the need to rent a movie and get working. 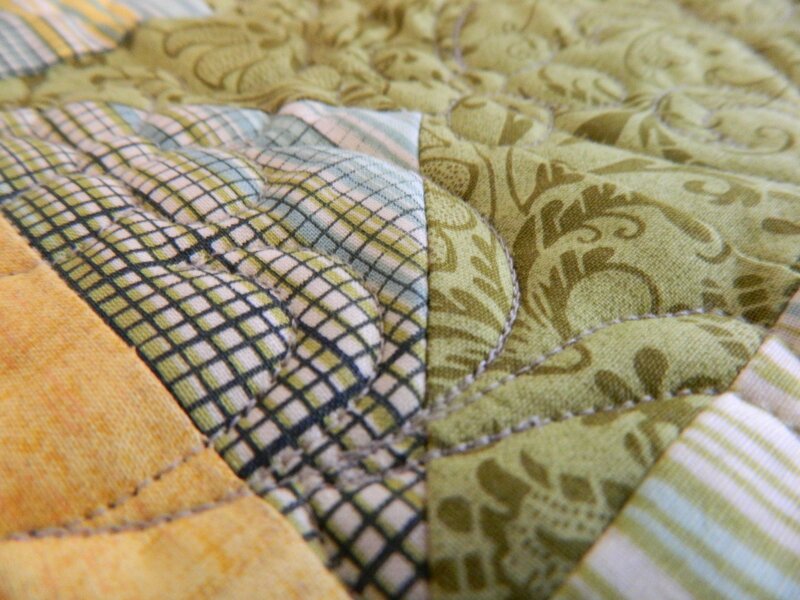 I am praying her surgery & recovery goes well, especially since she enjoys quilting so much. 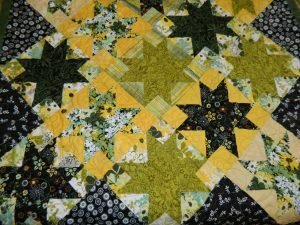 The fabric and pattern for this green, yellow and black quilt came from Material Girl Quilt Shop in Centralia, Missouri. The green, black and white project was a Christmas gift from my mother a few years ago. 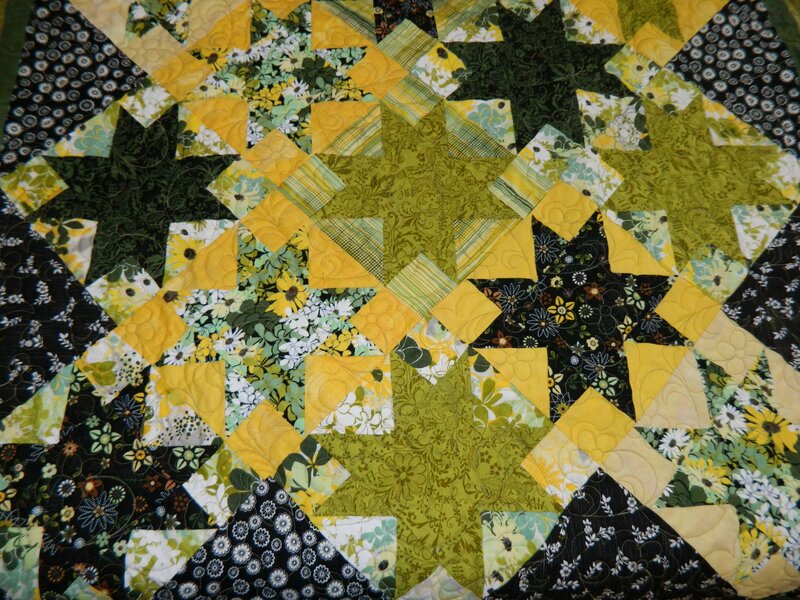 I started the project over Christmas Break and did not get a chance to work on it again until Thanksgiving Break of the next year (quilter’s confession moment). 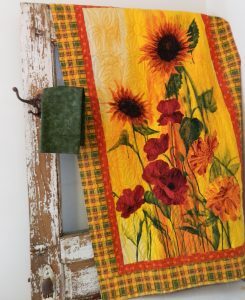 This second project (above) was started on account of my love of warm colored, autumn-inspired fabrics. The large center panel and borders also came from Material Girl. The wall hanging is actually a gift with a deadline, so I cannot be putting off the binding work. The green fabric will be used for the binding. I wanted to pull it all together with green, calming tones. The best part of this project, was the large panel meant it all came together in one afternoon. Hi Jill! I will have to try that sometime, could I use a zig zag stitch? Beautiful pictures, Sierra! A good movie makes the binding go fast. Thanks for the shout out….it is beginning to look like spring in the quilt shop! Take care. Hey- I didn’t make it to your shop on this trip 🙁 I have too many projects on the line right now. Have to finish some up first. I am working on the peach quilt with your pattern now! Enjoyed seeing your pictures of your quilts and the stories that goes with them. I also agree with Meredith-a good movie when doing binding. Thank you, Jan. My Mom helped me with a little binding and chatting last week. It was fun!